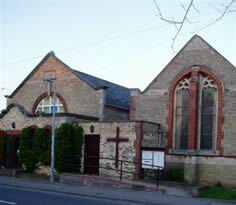 Situated in centre of a village with population of approximately 6,500. Built in 1833 and extended with a schoolroom in 1902. It was renovated/modernised in 1989. Further improvements are now planned. Membership of 40, Community Role 150. Saturday – Coffee Morning between 9:30am and 11:00am. Coffee, cakes and fellowship.